The Executive Steering Committee (ESC) oversees the entire group and they communicate with the Core Management, who in turn, communicate with the support group and the country-specific project teams through the Project Manager. The ESC will communicate directly with the Project Manager for their country, but major changes to protocols and projects must be documented for the ESC and both the Core Management and relevant Project Manager, must be notified. iLEAD consists of well-established, reputable and well-governed operations. Good governance, ethics, quality and data security are ensured, valued and protected. For donors and funders, iLEAD offers compelling value. For innovators, iLEAD offers fresh scope and game-changing potential. 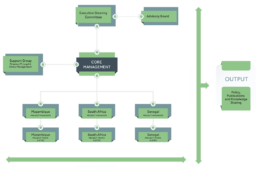 iLEAD’s core governance structure is detailed in the accompanying organogram. Teams conducting studies within the iLEAD will require programmatic support and portfolio management across sites. 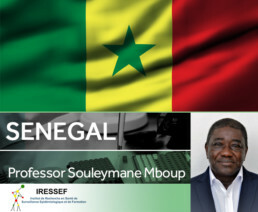 The lead country is South Africa under the leadership of Professor Stevens with a careful governance structure to enable successful planning and interaction with country partners: Mozambique (led by Dr Jani) and Senegal (led by Professor Mboup). The ESC convene on a quarterly basis, whereas the Advisory Board convene annually. Ad-hoc webinars/teleconferences are arranged between the ESC and Advisory Board if further consultation is needed for a specific project/s. From a programme management level, the Core Management host monthly update teleconferences with the Project Managers from each country. The ESC may join these meetings on an ad-hoc basis. 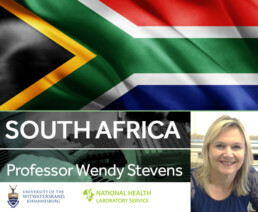 The Wits Health Consortium (Pty) Ltd, based in South Africa, is the legal entity under which the iLEAD grant was awarded. As such, the governance structures that are in place for WHC and its employees will be applicable to the employees of iLEAD and its related third party partners. In addition, all staff and students will complete and sign confidentially agreements. South Africa: University of the Witwatersrand (WITS) Human Research Ethics Committee (HREC). 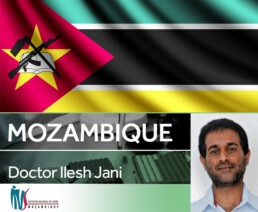 Mozambique: Protocols are approved by the INS Institutional Bioethics Committee (CIBS) and then sent to the Mozambique Ministry of Health National Bioethical Committee for Health (CNBS) for approval. An administrative approval, given by the Ministry of Health, is also required and annual communication to both committees is expected.